Technical SEO involves all those activities and actions that are undertaken to ensure your website is compatible with the guidelines put forward by search engines. 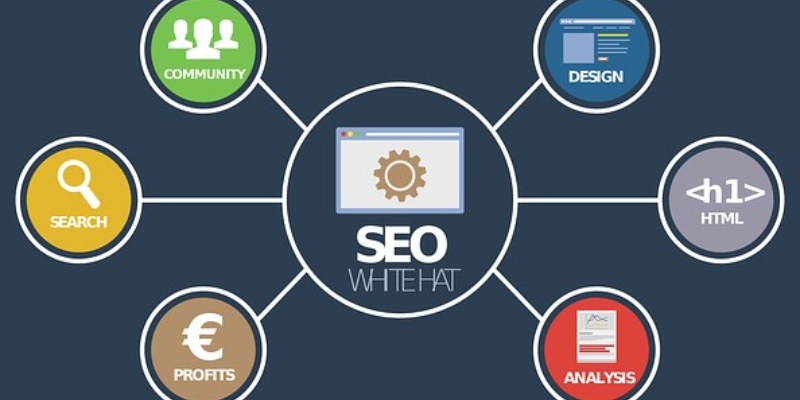 Due to the technicality involved in SEO algorithms, many organizations invest in Digital Marketing Orlando SEO services, however there are certain steps which you can take without the help of an external third party. By technically optimizing your websites, it will be crawled and indexed without hiccups by search engines and it will automatically rank higher. Now that you have a better idea of what technical SEO is all about, let’s take a look at a technical SEO checklist that will do wonders for you in 2019. Think about it, when was the last time you checked to see whether search engines and visitors could easily access your website or not. If you haven’t, you should analyze your website’s findability. However, evaluating your findability once is not going to be enough, you will need to check it from time to time to avoid getting into a fix. Google Index Report - Use the Google Index Coverage Report to find any issues pertaining to index coverage. The reason? Google may permanently or temporarily remove sites from its search results and index due to quality issues, obligations to the law and so on. Robot.txt - The Robot.txt files are created for image files, source files and non-image files that should not pop up in Google’s search results. Test it for issues by using the Robot.txt tester in the Crawl Section of the Search Console. HTML Sitemap - It serves as an effective tool for distributing link juice throughout your website. Essentially, it is a page that outlines the entire structure of your website, with links to important pages. If you don’t have an HTML page, create one right away and acquire as many links for it as possible. XML Sitemap - An XML Sitemap makes it easier for Google to crawl and understand your website. It is a roadmap with all important pages linking to your website. Create one using tools online for the best possible results. Custom 404 Pages - If your server is unable to retrieve a page requested by visitors on your site, it will result in a 404 error. Some causes for this happening are: page deletion, server malfunction and incorrect URLs and so on. Fix these pages immediately using the Google Search Console. Use of Pagination - Pagination is required for organizing content on your website. If the content of a page is carried over to another page, pagination is used to let Google know about it. Canonical Tags - If the very same content is available on more than one URL, it will cause duplication issues. This can be sorted using canonical tags to let Google know that specific URLs are master copies of pages with the same content. Server Uptime - Your website’s stability is everything. If it is down all the time, it will negatively impact your ranking. Keep tabs on your website’s performance. Fix hosting and server issues, if any by using tools such as Pingdom. Use breadcrumbs to let visitors know where they are on your website. Your Top Level Navigation should link to all your top pages. The titles should be SEO optimized. Keep important pages at least 4 clicks away from your homepage. URL optimization is important for technical SEO. Check the URLs for each and every page of your website. They need to be formatted properly. Ensure there is a hyphen in a URL string, which serves as spacing. Additionally, focus more on absolute URLs. Apart from checking internal links to your website, you need to check external links too. Your site must meet Google’s guidelines for Links. If your website is slow, Google will not rank it well. To analyze your website’s performance, use Google Page Speed Insights. The best thing about it is that it provides suggestions for fixes as well. In this day and age, your website can’t afford not to be mobile friendly. It will affect your ranking. Seeing how mobile searches are greater than desktop searches, it is necessary for you to integrate effective mobile SEO strategies. The benefits of social media integration are endless. It improves your reputation, all the while expanding your network for business growth. Any SEO strategy will be incomplete without including technical SEO. The point mentioned above will without a shadow of a doubt improve your site’s technical SEO. Focus on these aspects mentioned above and you will see how your website transforms into a high converting website. Judy Robinson is a passionate marketing and business blogger. She loves to engage with readers who are seeking B2B and B2C marketing related information on the internet. She is a featured blogger at various high authority blogs and magazines in which she shared her research and experience with the vast online community. Currently she is associated with an Orlando based SEO Company ‘PNC Digital’. Follow her on twitter for more updates.